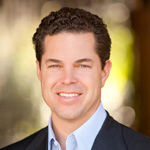 Jason Hughes is president of Hughes Marino, the largest tenant representation company in San Diego. Hughes Marino is committed to only representing tenants in their lease and purchase transactions of commercial space throughout the county. Jason began his commercial real estate career in the late 1980’s where he worked at the Century City office of Cushman & Wakefield while attending college. Upon graduation, he moved to San Diego, where he represented downtown tenants and landlords before joining a local tenant representation firm in 1991. In 1993, Jason joined Craig Irving, where they founded Irving Hughes, of which Hughes was President. In January 2011, Jason and Irving Hughes principal and executive vice president David Marino formed Hughes Marino. All of the former Irving Hughes team, sans Craig, joined Hughes Marino -- making Hughes Marino the largest exclusive tenant and buyer representation company in San Diego. Over the years, Jason has transacted leases and purchases for tens of millions of square feet. He has experience negotiating all of the following: complex and high-value leases; early renegotiations; expansion and contraction negotiations; office, hotel and condominium purchases; participating loan structuring; lease and loan workouts; government negotiations; anchor high-rise lease negotiations; build-to-suit developments and project finance negotiations. Jason has negotiated many of the largest tenant lease transactions in downtown, Sorrento Mesa, Carmel Valley and the Golden Triangle area over the past twenty years -- and is a recognized commercial real estate expert throughout San Diego. Jason is currently a featured columnist for the San Diego Business Journal -- and has been a past columnist for the San Diego Daily Transcript. He has been awarded many accolades, including: 40 Under 40 People to Watch -- San Diego Metro (twice); San Diego’s Top 120 Most Influential People (San Diego Daily Transcript), nominated as a Top Influential -- both 2007 & 2011 -- San Diego Daily Transcript; 50 People to Watch 2011 (San Diego Magazine); featured on the cover of San Diego Metro three times; and 25 Movers to Watch 2011 -- San Diego Metro. Jason has written well over 100 articles -- and he has been profiled in the San Diego Union Tribune, San Diego Business Journal and the California Real Estate Journal. Jason received his Bachelor of Science in Business Administration from Pepperdine University and his Masters of Business Administration in real estate finance from the University of San Diego. He has also taken numerous executive programs at Harvard University, UCLA’s Anderson School of Business and UCSD’s Rady School of Management and the UCSD Extension program. Jason has served the San Diego community in many capacities over the last twenty years. As past president, Jason has been touted as saving the New Children’s Museum, an award-winning landmark in downtown San Diego. He has also been a founder and served on the Board of Directors for San Diego based Torrey Pines Bank, the executive board of the Downtown San Diego Partnership, the board of the Rancho Santa Fe Community School Endowment, the business council for the San Diego Museum of Contemporary Art, and the San Diego Opera. Additionally, he was an elected official of the Downtown Project Area Committee (the City of San Diego’s public arm of their redevelopment agency), as well as a director of the Gaslamp Quarter Historical Foundation, the President of the Pepperdine Alumni of San Diego, and he has been involved with the Child Abuse Prevention Foundation and San Diego Cares. As a company Hughes Marino is dedicated to supporting and giving back to San Diego’s local non-profit groups. Jason, his wife Shay, and their three children live in Rancho Santa Fe. Certain words and phrases tend to become quickly overworked and trite in our modern lexicon — so much so that they lose meaning and impact. Short of which contestants are being voted off "American Idol" each week, the most pressing domestic issue in the news these days is the distressed condition of the real estate and mortgage markets. On several occasions over the course of this column's tenure, I've taken office building landlords to task for how they treat their customers -- tenants who lease office space. My purpose in doing so had been to call attention to their shabby customer relations and their continuing failure to treat office tenants as if they were really important to their business. I hoped doing so would result in behavioral changes on their part for the better. This isn't the first time I've had occasion to comment on the softening taking place in the region's commercial real estate market. But, it's somewhat akin to the old advertising adage that one needs to say something several times before it begins to take root in the minds of one's audience. Let me say right up front that I have not been a big fan of public libraries in recent years, new or old. Frankly, I can't remember the last time I visited one and what with the Internet and growth of online information, it had become easy for me to question the value of maintaining libraries, much less investing major capital into new facilities. I had concluded that technology had all but eliminated any need for places where books are kept. There's at least one New Year's resolution worthy of keeping on the part of present and future tenants in San Diego's office market: Resolve to watch and wait for the real bargains to emerge in several commercial real estate market segments. What follows is an abbreviated tale I've adapted from Dr. Seuss's "How the Grinch Stole Christmas," tailored to comment on certain conditions in our local real estate market. In just under three weeks, Santa's sleigh will course its way through high- and mid-rise office buildings throughout the region just after midnight, being especially careful not to bump into the increasing numbers of "For Lease" signs pleading for attention. As magical as his sleigh might be, there's not nearly enough room to pack in the millions of square feet of vacant office space that's available these days to office tenants. Given last month's wildfires that ravaged much of our county and the many other challenges we're facing as a region and nation, it would be easy to forget that the Thanksgiving holiday later this week should be far more than a big dinner and a few football games on TV. While I've talked at great length in these biweekly columns about how important business and commercial tenants are to our local economy, I've not re-visited in quite a while the perilous situation we face in losing one of our region's highest-profile tenants: The San Diego Chargers Football Club. An article in this month's San Diego Metropolitan aptly describes the conundrum that exists in today's San Diego office market where landlords who desperately need tenants for their Class A office buildings are instead driving them away with rent increases ranging from 40 to 100 percent. Hiking rents to chase away the very business you need to keep makes about as much sense as the Chargers moving to Imperial County to increase game attendance. Vacancy rates are hovering at 15 to 16 percent for downtown Class A office buildings - a range that should be somewhat disquieting to any thinking landlord. There's a rule of thumb in advertising that suggests a commercial or advertisement needs to be heard or seen several times before it makes the desired impression. People don't respond to messages, important or otherwise, at first blush. It takes multiple impressions to move someone through the continuum of awareness, understanding and, ultimately, acceptance.